With just a few weeks left until Google I/O 2016 kicks off, Google has dropped a new version of the I/O app into the Play Store. 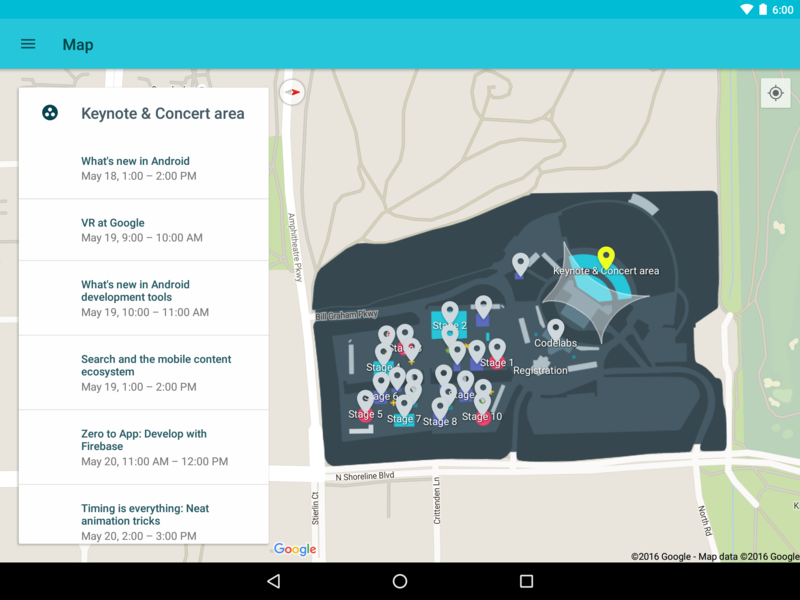 It includes a schedule of events, notifications, a map, and more. The mobile website has gotten very good this year, but the app still provides a few benefits. You don't need to actually be at I/O to use the I/O app. It will ask on startup if you'll be attending the conference or following it remotely—the former will add a map item to the navigation menu. The schedule of events will probably change a bit prior to the big day, but you can start adding things to your list now. The app includes full details on the topics and speakers to help you decide. The app will let you stream the keynote that kicks off I/O this year. Of course, that'll be on YouTube too. Right now the videos in the app are from past I/O events. The I/O website does most of what the app does (it even has notifications), but the app does let in-person attendees set up credentials for the public WiFi network before they arrive. That's handy. The updated app is available to all in the Play Store, but we've got it on APK Mirror too.